This practical guide provides a complete picture of how non-physical and physical interventions can be used to manage behaviour and keep children with autism spectrum disorders or emotional, social and behavioural difficulties safe. With clear advice and strategies that can be easily implemented in practice, Steve Brown explores various options and interventions, and explains how professionals can manage the behaviour of children (aged 3-18) in the safest possible way, promoting assertiveness and confidence. 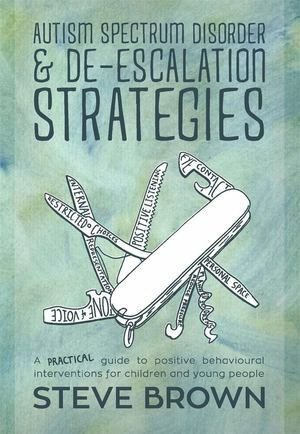 He includes a range of de-escalation and behaviour management strategies, information on risk assessments and legalities, advice on how to create safe spaces, insight into non-verbal communication and positive listening, and an honest and open discussion about the important role of physical interventions and positive handling techniques. Providing clarity and insight into this complex subject, this book will allow professionals working with children and young people with ASD or ESBD to use non-physical interventions with confidence and understand the role of physical interventions as a last resort, within a legal framework.